One word: fringe. Have you seen it popping up on handbags, boots, jackets and well just about everything? That’s because it’s a huge trend this season and one I am all over! I featured quite a few new pieces I styled as part of the Burlington Style Squad last week. I have worn those fringe boots over and over again! 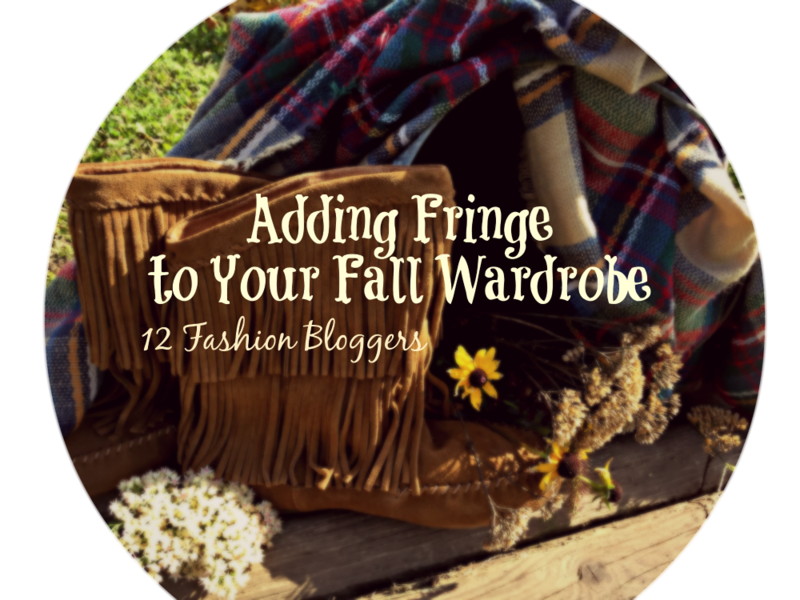 Well today, I’ve teamed up with quite a few fashion bloggers to share how we’re adding fringe to our fall wardrobe. Jo-Lynne Shane, More Pieces of Me, The Simple Moms, Messy Beautiful Life, Momma In Flip Flops, Thirty Something Fashion, Grace + Beauty, BonBon Rose Girls, That Chic Mom, The Mother Overload, Very Busy Mama, Style In Harmony, and Charmed Valerie. How did I add fringe to my fall wardrobe? With a scarf! So, I have a secret about this scarf. It’s like six years old. Ha! I can’t even tell you where to purchase it because it doesn’t even have a tag. But I will point you to some gorgeous fringe scarves in a few minutes. I received this scarf as a gift from a company I worked with many years ago. It just showed up unexpected and I have loved it ever since. It’s so different than any scarf I own or any I’ve seen. This is the closest one like it I’ve found. I really like pairing it with a neutral color like this cream sweater because I feel the scarf gets the attention it deserves and steals the show. Just like throwing on a cardigan can change and elevate your entire outfit, so can adding a scarf. 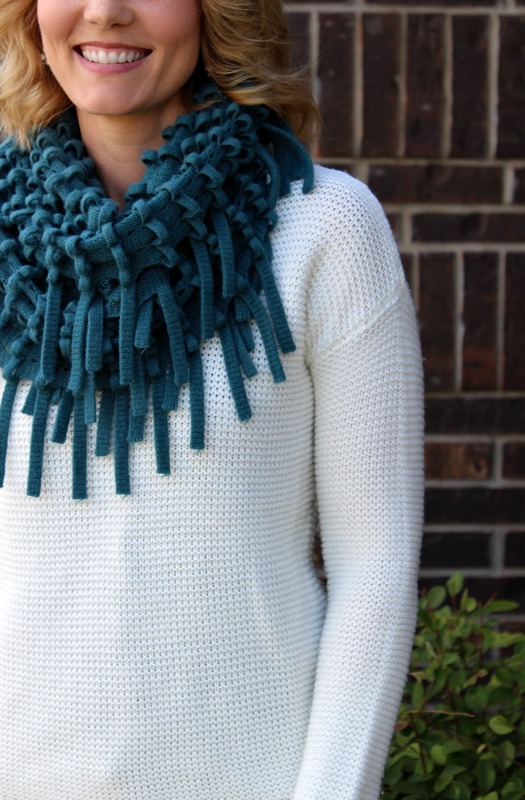 That scarf is a great color – love it on ivory. So cute and I actually just ordered that one from Kohl’s can’t wait to get it and style it!! You just reminded me of a fringe scarf I need to wear stat!! The color of yours is adorable! And how awesome you’ve had it for so long. I love pieces that stay relevant for so many seasons! 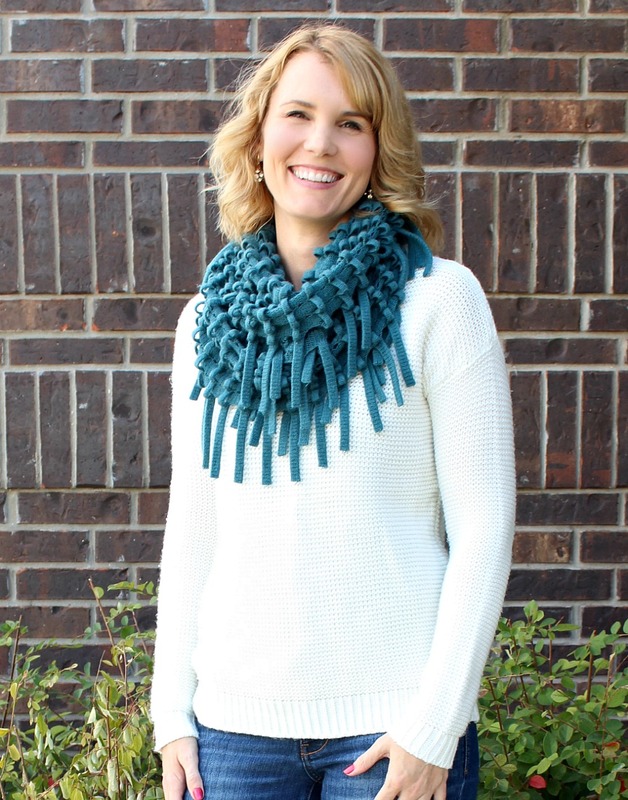 I love the pop of color with the fringe scarf! That’s the one item I don’t have in my closet currently! I need to change that asap! It’s definitely one of my favorite colors for fall and winter! could NOT love this scarf MORE! its the perfect color for yoU! So so pretty! I’m obsessed with that scarf’s beautiful color!